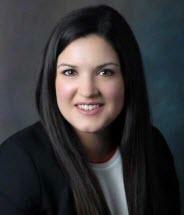 Ms. Raaka joined Temmerman, Cilley & Kohlmann, LLP in 2018. Ms. Raaka's practice focuses on trust and probate litigation, including will and trust contests, fiduciary removal and surcharge actions, accounting disputes, elder abuse actions, interpretation of estate planning documents, and related civil disputes. Ms. Raaka also assists clients in estate planning, and trust and estate administration matters, and conservatorship matters. Prior to joining Temmerman, Cilley & Kohlmann, Ms. Raaka practiced in the area of construction litigation. During law school, Ms. Raaka interned with the Family Court for the Santa Clara County Superior Court, and the City and County of San Francisco.